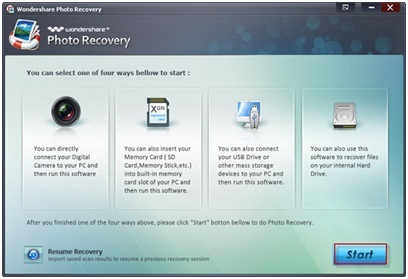 Recover any media file: Wondershare photo recovery extends its recovery capability to audio, video and image files with the least of complications in usage. Recover popular media file extensions: The photo recovery software supports all the major media file formats for video, audio and images. Here’s a list of major supported file extensions. Supported image files include: GIF, TIF, BMP, JPG, PNG, PSD, WMF, CR2, DNG, RAF, ERF, RAW, NEF, ORF. Filter your recovery: While recovering media files, the interface provides you an option to filter your search based on the desired file extensions. This reduces the hassle of recovering unnecessary media files while also enabling you to determine whether to recover audio, video or image files or all of them at the same time. Preview files before saving: After scanning, click on any media file to get a preview of them to choose the desired ones. The preview feature only supports PG, PNG, BMP, GIF, and TIF format image files. 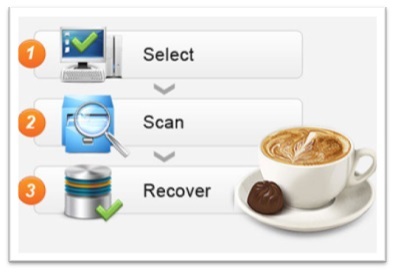 Recover from most storage devices: You can recover media files from digital cameras, USBs, SD cards, Hard Drives, Handy cams and several other storage devices. Retrieve photos vanished because of unintentional deletion, formatting, irregular use of your gadget, software crash, virus infection, and other causes. How did I Recover Media Files? 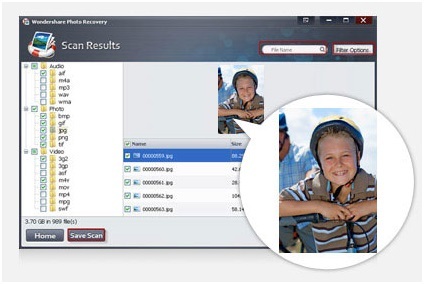 The photo recovery software is easy to download and install with no ads or risk of malware. I bought the advanced version for $34.95 for my Windows 7. If you own a Mac, you can get it for $45. The first step is to run the main interface and click on start. You will be prompted to the second screen where you can select the path to search the files from, and also the filter options to choose the category and file extensions you want to recover. After filtering, the results of scanned files are displayed with their previews on the screen. You can preview and select only the desired pictures, audios and videos to save. 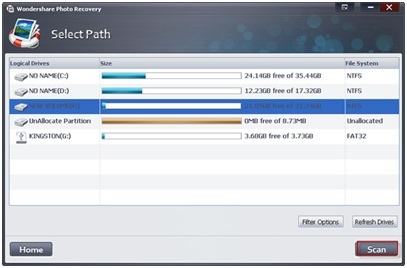 After choosing the files, you can easily save them by clicking on the recover button and follow the instructions. So there you have it. All of your precious media files recovered instantly. The Wondershare media recovery software is free to download, so go for it, you have nothing to lose. I strongly recommend every computer user to have this software as everyone of us needs media recovery some time in life. 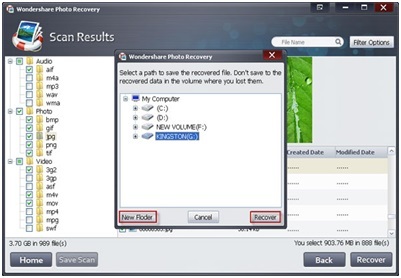 Related to "Recover Your Lost Media Files with Wondershare Photo Recovery Software"